Marcy Smothers has been boldly navigating the world of wisdom and food since she was 12 years old, teaming up six years ago on KSRO Radio with Food Guy Fieri, the honorary member of this Rotary Club. 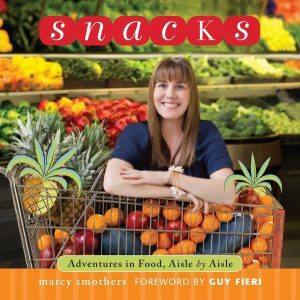 This Wednesday at Rotary, you are invited for “Snacks” accompanied with Marcy’s lifelong passion for food & cooking. Welcome her back to Rotary and enjoy Marcy’s quick wit, fun anecdotes, and impressive kitchen know-how that will make the whole hour with her irresistible and so much fun! Plus, if you are looking for a great gift idea, Marcy will sign copies of her book SNACK, with a 10 percent Rotary discount only $19.58. Cash or checks only please, made payable to Copperfield’s Books. This quote from Paul Harris’ 2nd book, published in 1935, is available online in PDF from Rotary International. 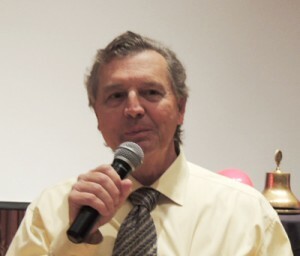 This Wednesday afternoon we were blessed with one visiting Rotarian, CPA Michael Musson from the Rotary Club of Santa Rosa East, founded only 43 years ago, in 1970. “The East Club” meets next door to the Flamingo Ballroom on Tuesdays. Welcome, Mike, come back soon. Since today was Club Assembly, we only had two visitors: Eunice Valentine and Ken Chase, the son of fellow Rotarian Dr. Doug Chase. 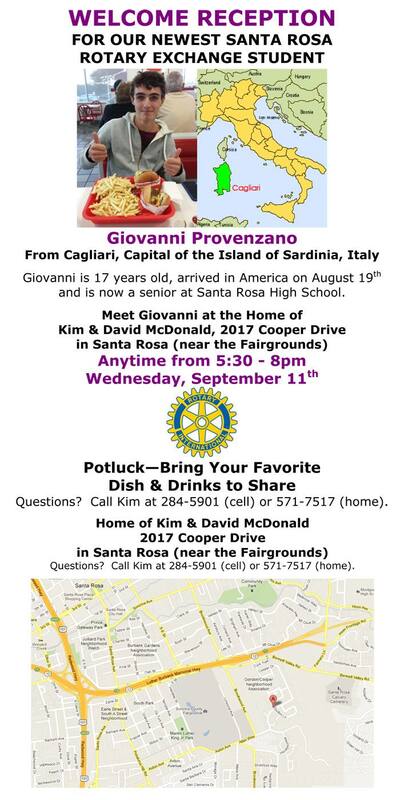 Wednesday, September 11th—anytime from 5:30 to 8 pm—you are invited to meet our newest Santa Rosa Rotary Exchange Student: Giovanni Provenzano, from Cagliari, capital of the Island of Sardinia, Italy. Cagliari is located in the Mediterranean Sea, halfway between the tip of Italy’s boot, the island of Corsica and nations of Tunisia & Algeria to the south. If you’re one of those paper-map types, scroll down to the bottom of this issue of The Santa Rosarian to get your bearings; both to Caliari west of Italy, to the home of Kim & David McDonald, our hosts. You can also download the flyer here: GiovanniReceptionSeptember2013 The flyer also contains more information about 17 year old Giovanni, the address of the reception, and Kim McDonald’s phone numbers. Do not miss this opportunity to welcome Giovanni Provenzano personally to Santa Rosa, California. Penny Tibbetts announced that she received a beautiful thank you card on our behalf from Patty & Dan Wright. And she let us know that everything is pretty sunny for our club members, especially when she mentioned that Genie Delles was here for today’s Club Assembly. 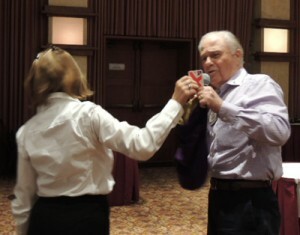 Past President Yale Abrams announced that the Joker Jackpot had grown to $435 and the winning odds continue to move in our favor, with only 36 non-jokers in the velvet bag. Our own Lucky Penny Tibbetts’ red ticket was pulled but the winning joker eluded her grasp. She gladly accepted her $10 consolation prize while the club’s players calculated even better odds for next week. On this anniversary of Martin Luther King’s “I have a dream” speech, I would ask each of us to recharge our dream of what we want to our Rotary Club to be like. My dream of our club is that we treat all our guests, our speakers and one another with total respect. As our founder, Paul Harris included in the 4-way Test, we want to build good will and better friendship. Our guests, including our speakers, are potential future Rotarians. They give their time and their energy to come and speak to us. It is fine to ask challenging questions and even to disagree with them, but let us do it in a way that builds good will and better relationships. Let us work to build good will and better friendships; to build that dream of our Rotary Club. It begins with you and with me. Like almost every other Rotary Club in Sonoma County, the New Generations Rotary was sponsored by our 93-year-old club, and assisted through its early years by volunteer members from the “Mother Club”. This New Generations Rotary was one of the first Rotary Clubs under Rotary’s new initiative for change to create Rotary Clubs for younger members who might otherwise miss out on the traditional service clubs that were founded more than a century ago by Paul Harris. New Generations turned out to be a valid concept that was transformed over time by our new Rotarians into unique organizations officially affiliated with Rotary: Kinda the same Rotary but still different. A few years ago, without any significant fanfare, New Generations became The Evening Rotary Club of Santa Rosa. A younger organization that worked almost as it was initially intended, but still different. Dan Walker is ready for Christmas! 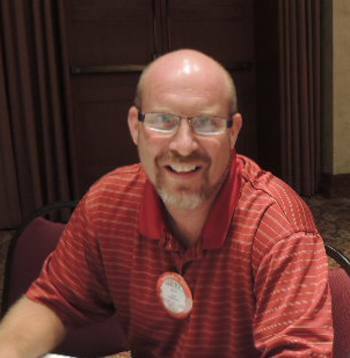 Christmas Poinsettias: Like Christmas, the Poinsettia Project is coming and Dan Walker would like our club’s Red Badgers to help him out with the annual Christmas Poinsettia sale in late November & early December. Your job, should you agree to accept it, would to be take orders for the traditional Holiday flowers, then place the orders, and when they are delivered bring them to the club on the designated day in time for Christmas. It’s easy and fun: You take flower orders from Rotarians and supporters, and then you order the flowers. When they arrive, bring the poinsettias to the club on the day selected and help take them to the Vigil Lights Apartments down the street behind the Flamingo. Oh, here’s the best part: You serve up some cookies to the seniors who live at Vigil Light and sing some Christmas Carols topped with Christmas Cheer. Sunday Social at Cathy Vicini’s: A family barbeque for you and your family. The next Rotary Social is tentatively scheduled for Sunday, September 22nd. This is a family social, so plan on bringing the kids and grandkids. Tim Delaney and his airplane had a doozy! He and Craig Schulz (yeah, that one) went flying in an antique plane and the engine conked out. Fortunately they glided carefully to the ground (it’s called a dead-stick approach) and landed safely in a field. No problem, right? Tim insists the owner of the field plowed it smooth so they could get back to the airport, plane and all. Rich de Lambert narrowly escapes Peggy’s clutches! 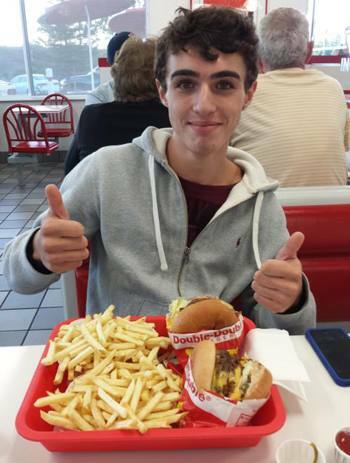 Matt Everson was recognized for a full page article in the Press Democrat couple of weeks ago. It was all about what Matt and Sarah called the “Paleo Diet”, referred to often in the article by the reporter as the “The Caveman Diet”. The writer did exaggerate a bit how far Matt and Sarah actually stick with their caveman diet, but what the heck! President Peggy tried to get to Past President (1987-88) Rich de Lambert, but he did not recognize the picture and lucked out of being fined. This time! The meeting adjourned to allow our members to sign up for this year’s Rotary Committees. Everyone is expected to serve on at least two committees. A moment of silence was held in memory of former member of our Rotary Club, Mike Panas (1965-2001), who passed away at his home on Tuesday, August 27th, at the age of 98. 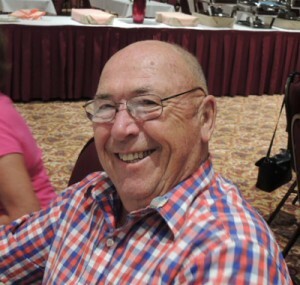 In addition to his 36 years as a member of this Rotary Club, Mike was a leader in numerous other civic and community organizations, a veteran of World War II, U.S. Army Air Corps, and a retired banker. His fellow Rotarians and friends are invited to attend a funeral service Tuesday morning, Sept. 3, 10:30 am at Daniels Chapel of the Roses, 1225 Sonoma Avenue, Santa Rosa. Interment to follow at Santa Rosa Memorial Park with military honors.